What conditions does Rifampin treat? This medication may produce a harmless, reddish coloration of urine, sweat, saliva, or tears. Soft contact lenses may be permanently stained. 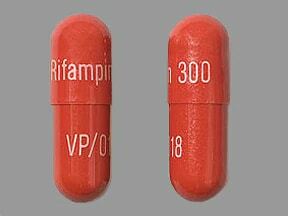 Rifampin may rarely cause serious liver disease. Though sometimes necessary to completely treat certain infections, combination treatment with other drugs (e.g., isoniazid, pyrazinamide) may increase this risk. Tell your doctor right away if any of these unlikely but serious side effects occur: signs of kidney problems (such as change in the amount of urine), persistent nausea/vomiting, stomach/abdominal pain, dark urine, yellowing eyes/skin, mental/mood changes (e.g., confusion, unusual behavior), unusual tiredness, easy bruising/bleeding, small red spots on the skin, joint pain/swelling. List Rifampin side effects by likelihood and severity. Before using this medication, tell your doctor or pharmacist your medical history, especially of: diabetes, liver problems (e.g., hepatitis), HIV infection, history of alcohol use/abuse. What should I know regarding pregnancy, nursing and administering Rifampin to children or the elderly? Rifampin can speed up the removal of other medications from your body, which may affect how they work. Examples of affected drugs include aprepitant, digoxin, ranolazine, sulfasalazine, tacrolimus, theophylline, certain anti-infectives (including chloramphenicol, clarithromycin, dapsone, doxycycline, linezolid, telithromycin, zidovudine, quinolones such as ciprofloxacin), antiarrhythmics (such as disopyramide, mexiletine, quinidine), certain antimalarial drugs (such as atovaquone, quinine), anti-seizure drugs (such as phenytoin, phenobarbital, lamotrigine), azole antifungals (such as itraconazole, ketoconazole, voriconazole), benzodiazepines (such as midazolam), "blood thinners" (such as warfarin), calcium channel blockers (such as diltiazem, nimodipine, verapamil), certain anti-cancer drugs (such as imatinib, irinotecan), certain oral drugs for diabetes (such as repaglinide), certain hormone replacement drugs (including estrogens such as conjugated estrogen, progestins such as medroxyprogesterone), certain drugs for mental/mood disorders (including clozapine, haloperidol, tricyclic antidepressants such as amitriptyline), narcotic pain relievers (such as methadone), HIV NNRTIs (such as delavirdine, etravirine, nevirapine), HIV protease inhibitors (such as atazanavir, ritonavir, saquinavir), certain drugs for sleep (such as ramelteon, eszopiclone, zopiclone), among others. Does Rifampin interact with other medications? 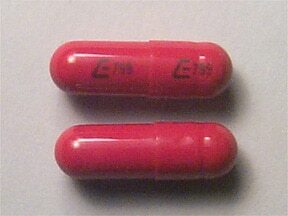 This medicine is a red, oblong, capsule imprinted with "E 799" and "E 799". 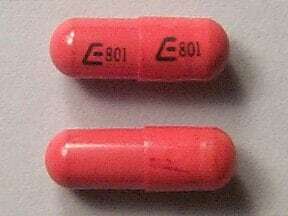 This medicine is a orange, oblong, capsule imprinted with "E 801" and "E 801". 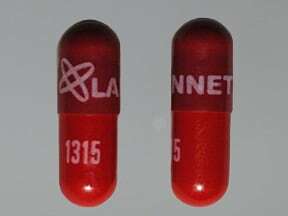 This medicine is a maroon scarlet, oblong, capsule imprinted with "logo and LANNETT" and "1315". 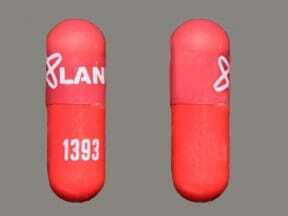 This medicine is a maroon, oblong, capsule imprinted with "Logo and LANNETT" and "1393". 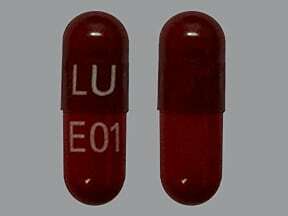 This medicine is a dark red light red, oblong, capsule imprinted with "LU E01". 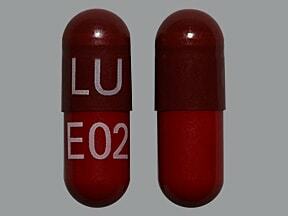 This medicine is a dark red light red, oblong, capsule imprinted with "LU" and "E02". 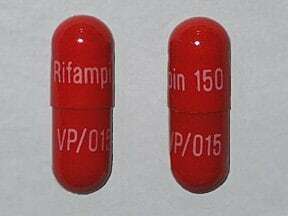 This medicine is a orange, oblong, capsule imprinted with "Rifampin 150" and "VP/015". This medicine is a orange, oblong, capsule imprinted with "Rifampin 300" and "VP/018". Are you considering switching to Rifampin? How long have you been taking Rifampin?